Whats Up Birthday Pizzas?! 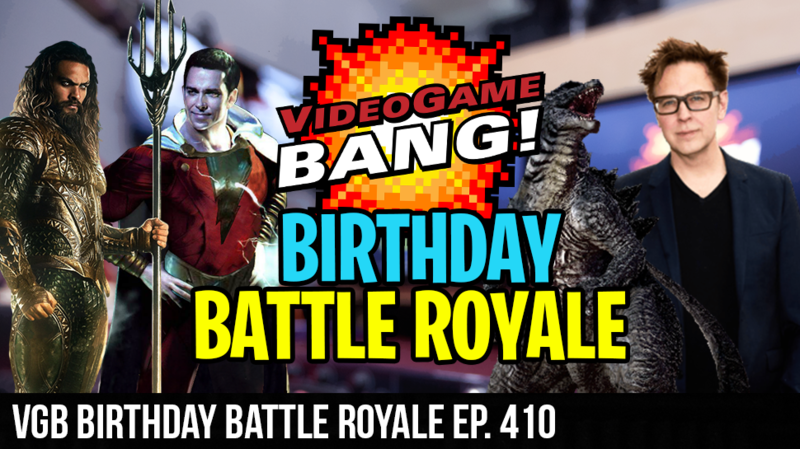 This weekend was pretty busy with San Diego Comic Con and Cory’s Birthday Party so there is a lot to talk about and luckily there were quite a few more people than normal on this weekend’s show to talk about it with!!!! The crew talks about the James Gunn being removed from Guardians of the Galaxy 3 after some internet trolls dug up some incriminating 10 year old tweets. We break down our thoughts on the new Shazam, Titans, Aquaman and Godzilla: King of the Monster Trailers. The crew also breaks down the Epic Fortnite esports fails from the last week and the success of the first big Keemstar Realm Royale tournament with HiRez.